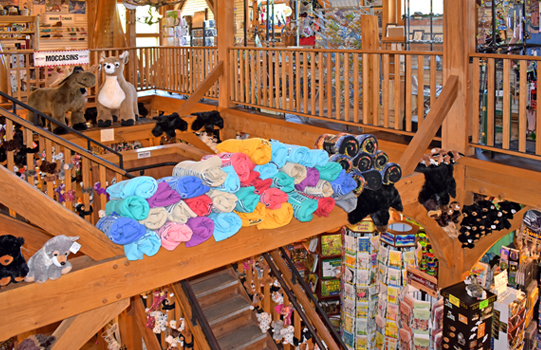 Welcome to the Tahquamenon Falls Camp 33 Gift Shop located in the Upper Tahquamenon Falls State Park. 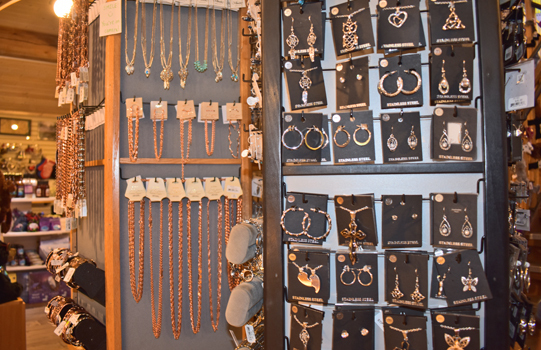 We are located just minutes from Paradise, MI. 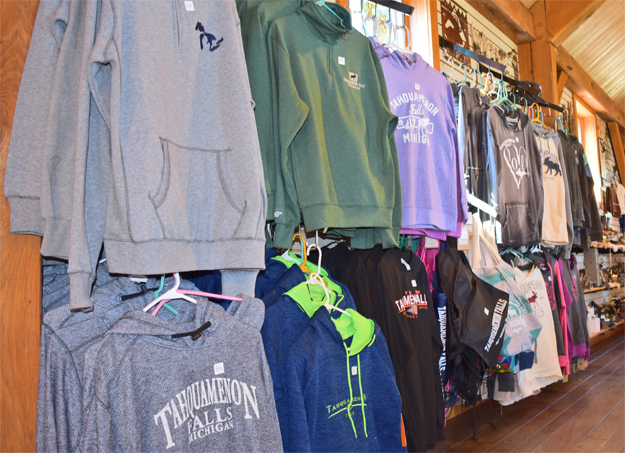 Located next door to the Tahquamenon Brewery and Pub, the Camp 33 Gift Shop is one of the Upper Peninsula's finest shops. 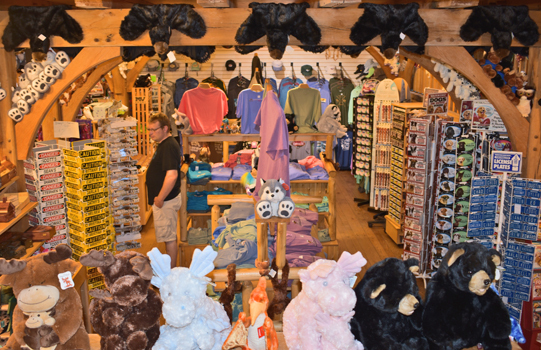 Camp 33 carries a rich variety of quality apparel that include: hoodies, hats, T-shirts, pajamas, along with a huge selection of shoes, purses, jewelry, stuffed animals, toys, infant clothing, and handcrafted goods. 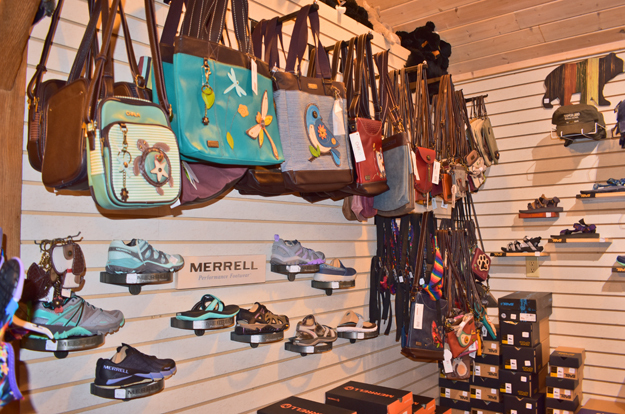 Merrell brand shoes, purses, hats, fanny packs, backpacks, and many other accessories are one of the shop's featured items. 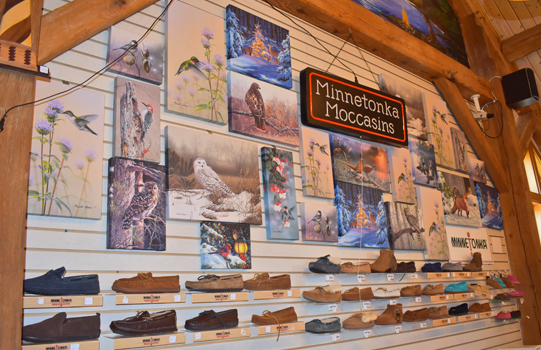 There is also a large selection of Minnetonka Moccasins, FitKicks, canvas art prints, Lang candles, carvings, mugs, glasses, sun glasses, locally made baskets, blankets, gift cards, & jewelry just to name a few. 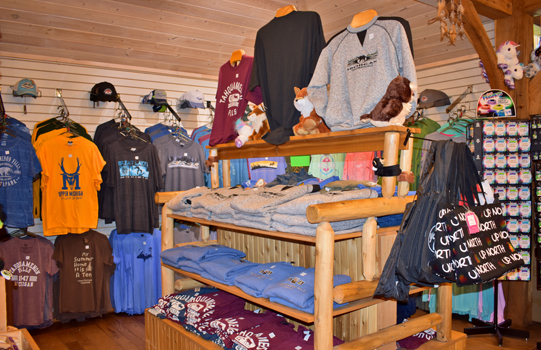 Please visit the Camp 33 Gift Shop page to learn more about this exciting Upper Peninsula Gift Shop. 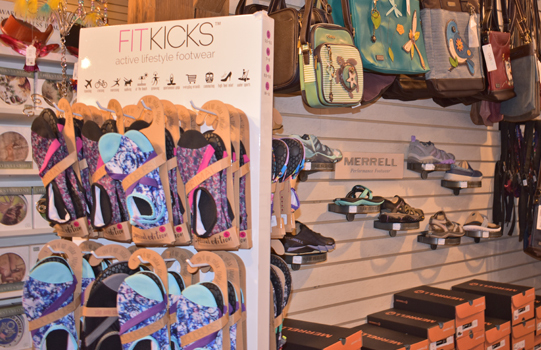 We are open May 1st through the 3rd week of October, 10:00AM - 5:00PM. Please call ahead for these dates do change year to year. 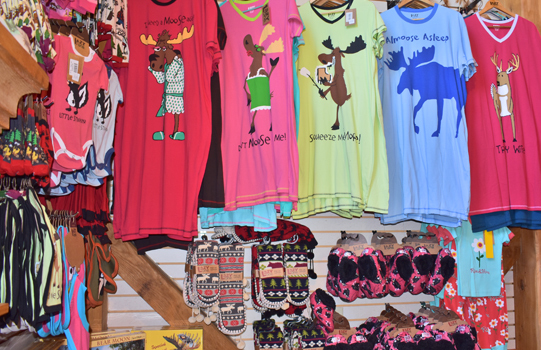 Our Upper Peninsula weather can be quite unpredictable. 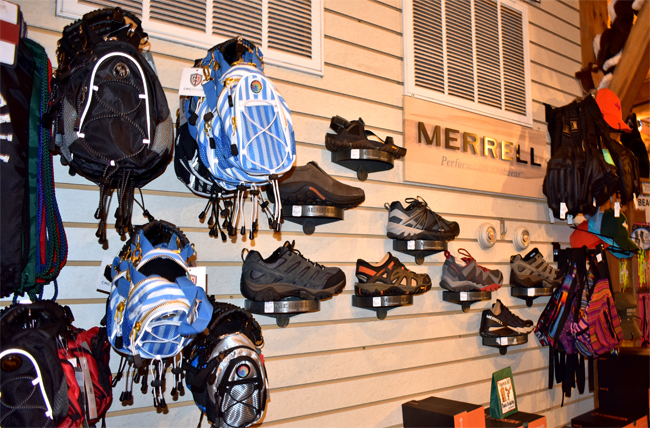 Our shop has plenty of jackets, t-shirts, hats, caps, mittens, gloves, socks, sunglasses, and hooded sweatshirts. 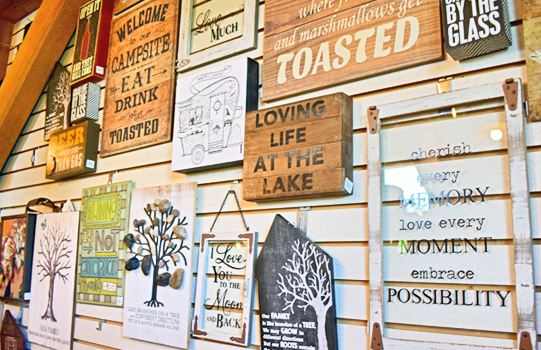 These are great keepsakes to cherish after your Upper Peninsula vacation. 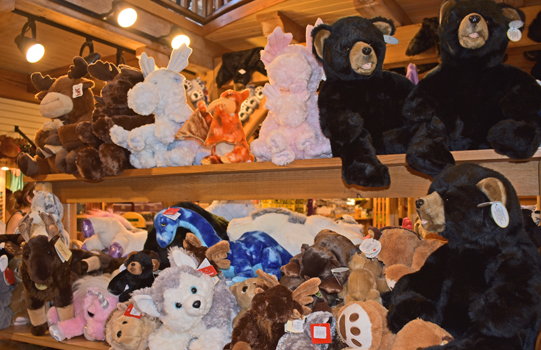 Whether you are looking for a souvenir or need to pick up some warmer clothing, we surely have the item to suit your needs. 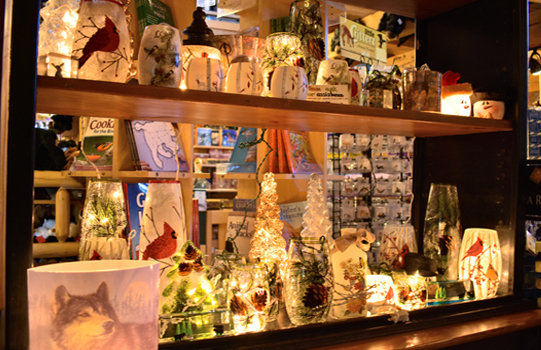 We carry a wide variety of books for all ages, puzzles, maps, and postcards. 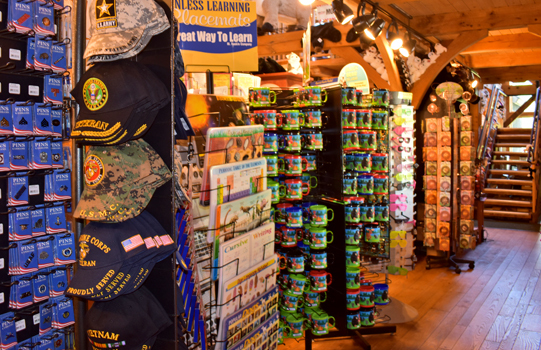 Select an informational book on Lake Superior, shipwrecks, area lighthouses, area nature and wildlife of the Upper Peninsula, along with learning books for children. 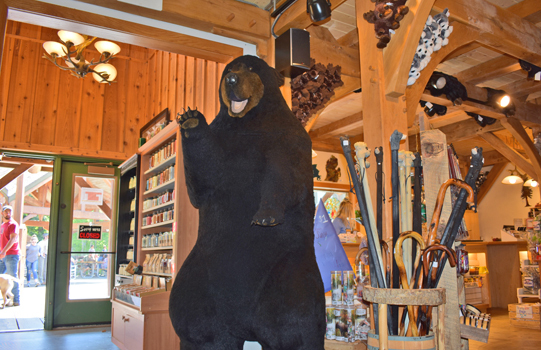 Try our selection of our Upper Peninsula Pure Maple Syrup on your next batch of french toast or pancakes. 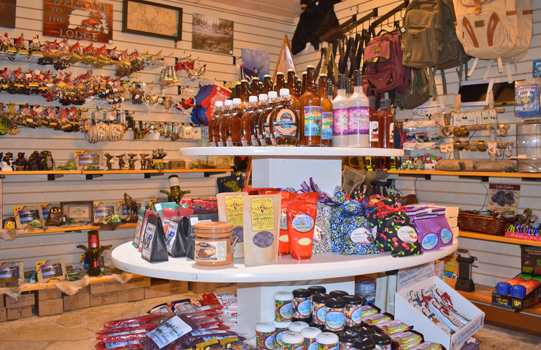 We also have Carp River Trading Company Salsa and Mustard for snack time. 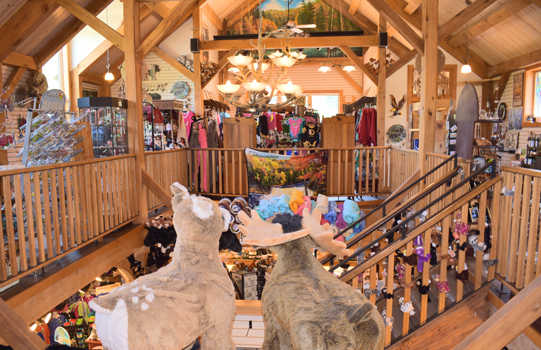 The beautiful pristine forests that surround Camp 33 and the Tahquamenon Falls were sold to the State of Michigan by the grandparents of brother and sister, Barrett Ludlow and Lark Ludlow. This agreement concluded that the Upper Tahquamenon Falls must be maintained as a recreational area so that everyone can enjoy the beauty of this wondrous place. 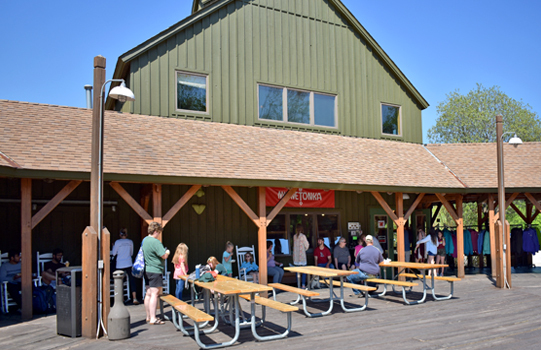 In 1990, the grandchildren of Jack and Mimi Barrett rebuilt Camp 33 and dedicated the new structures to the many whose foresight and philanthropy made possible the experience we all enjoy today. In 1996, the brewery & pub were built in keeping with the founder's vision. The focal point of all structures is the fire...a logging camp must! 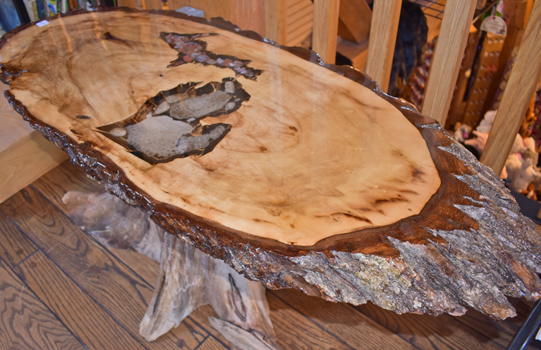 The warmth of the fire can now be enjoyed in all seasons. 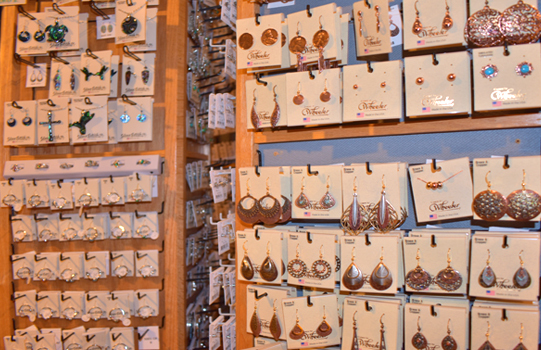 The surrounding State Park and Camp 33 echo these visions and together bring an experience for all to enjoy. 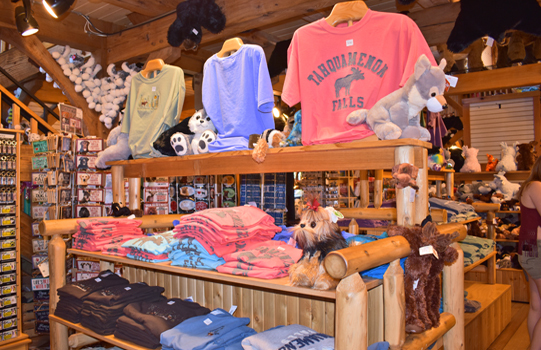 Guests of the Camp 33 Gift Shop will also have the opportunity to experience our large Camp 33 deck with fireplace, rocking chairs, picnic tables, and enjoy a meal and handcrafted beer at the Tahquamenon Falls Brewery & Pub. 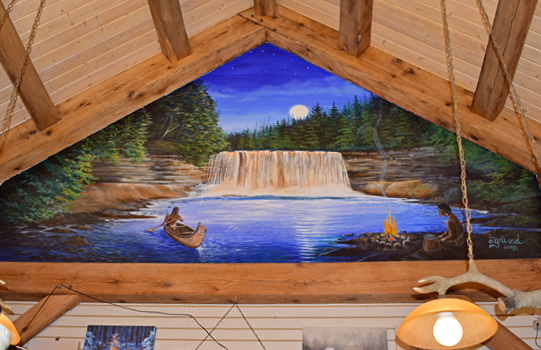 We invite you to come in and visit the Camp 33 Gift Shop and view these one-of-a-kind murals by Upper Peninsula Artist, Elizabeth Bohnak. 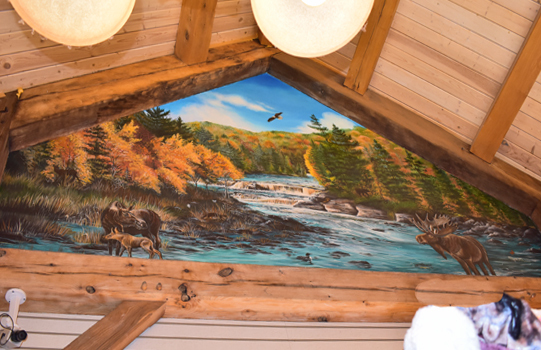 These Upper Michigan murals feature our wildlife and native history. 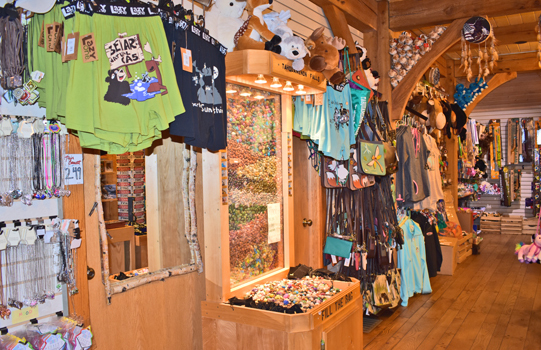 They are located on the second floor of the gift shop on both of the interior gable ends of the building.